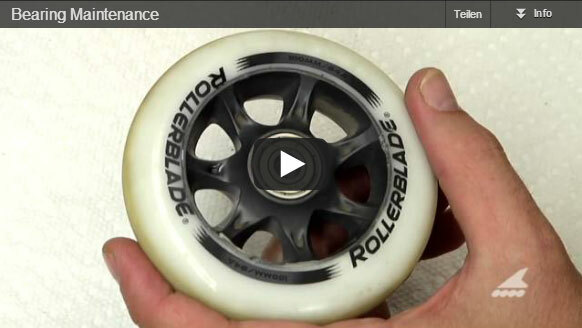 The inline skates service, such as changing wheels often looks easier than it is in reality. Many people have problems with it and, therefore, go to the dealer and pay a lot of money. Here on our skates Services page you will find many informative articles, pictures and videos to the repair or exchange of parts. What is important in the maintenance of ball bearings, you will here explain in-line skates and pre-service makes a small video. Thus, the maintenance of your bearings certainly be a problem. Time and again, when the wheels are worn on one side, should be changed the wheels of the left Inline Skate, Skate to the right build and the other way around, the wheels of the right skate, build on the left inliner. Thus driving the wheels always uniform. The inspection before skating should be learned. There are some things that we have noted before skating with inline skates. Inline Skates service shows you how it's done. So you ride safely inliner. How do you change a standard brake? To change a brake is actually quite easy. Inline Skates Service shows a little video here. You should then be able to change the brake system problems.